What is the best large van? Parkers Vans has the answer, as this list ranks every big panel van currently on sale, fully updated for 2019. The large van sector is famously the home of key van models such as the Ford Transit and Mercedes Sprinter, but all of the below come in a varierty of shapes and sizes, including short and long wheelbase (LWB) variants and a choice of roof heights. All of these vans are judged as 3.5-tonne (3.5t) models - and therefore as the biggest vans you can drive on a standard car licence. 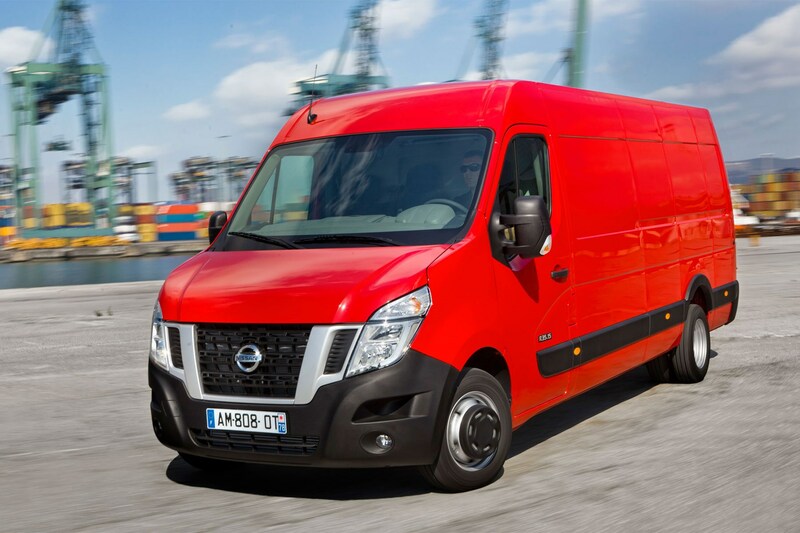 Large vans have come a long way in recent years, but this is still a class that ranges from cheap and basic boxes on wheels to highly sophisticated modern machines as easy to drive as a regular car and packed with high-tech features and safety. Whatever kind of large van you’re looking for, we’ve listed it here complete with a link to the full Parkers Vans review, so you can compare and contrast with every rival to make sure you’re getting the best buy for you. If you’re looking for a low cost large van, the LDV V80 is a place to start – as its official price significantly undercuts every large van rival. LDV even throws in a five-year warranty, five years of roadside assistance and you can buy it on five years of finance to spread the cost. The V80 isn’t even that bad to drive. But it certainly isn’t modern or efficient, with poor fuel economy and an engine that only meets Euro 5 emissions regulations, rather than the latest Euro 6 rules. Dealers are few and far between as well. The range is tiny, with just three panel models in a single trim level, and the amount of payload you can carry is limited. But if you need a basic box for little outlay, the LDV V80 is the cheapest. French twins the Citroen Relay and Peugeot Boxer date from 2006 – so although the engines were updated (and downsized) to modern 2.0-litre BlueHDi diesel units in 2016, these are the elder statesmen of the large van sector. They are growing old reasonably gracefully – you get plenty of equipment, and though the new engines are smaller they are smooth and efficient, delivering impressive mpg. However, the driving experience isn’t that great, with lots of road noise and an uninspiring cabin. They do carry a lot, though, with payload capacity up to 1,600kg for 3.5t versions of their lightest models, which is close to the top of the class. 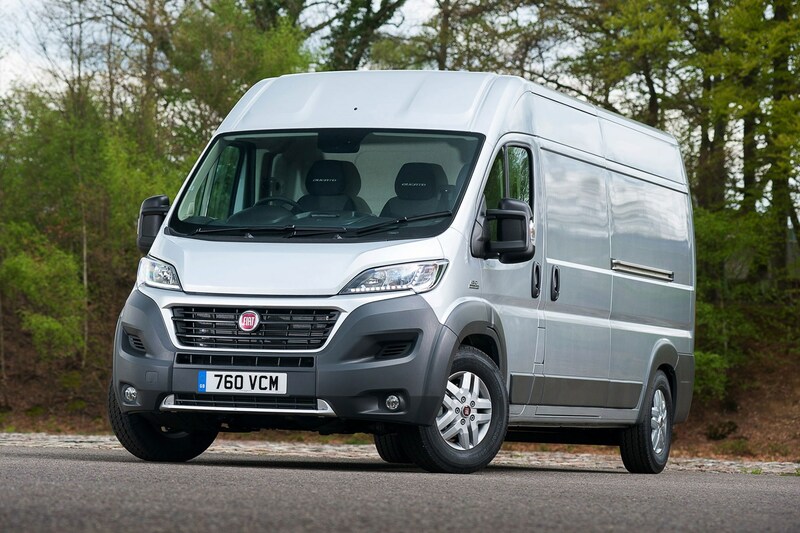 The Fiat Ducato is also closely related to the Citroen Relay and Peugeot Boxer, but we’ve ranked it slightly higher because Fiat’s version pulls out a couple of significant advantages by using the Italian firm’s own engines. And because recent surveys show Fiat’s customer satisfaction is particularly high. Fiat has managed to meet Euro 6 emissions regulations without using AdBlue – which means you won’t have the additional expense of keeping that topped-up. It’s also kept a 2.3-litre engine in the line-up alongside its own 2.0-litre motor (different to the one fitted in the French pairing). The big engine delivers a noticeably better driving experience, while the smaller 2.0-litre unit helps make the Ducato best in class for payload and fuel economy. Rivals remain nicer to drive, though. 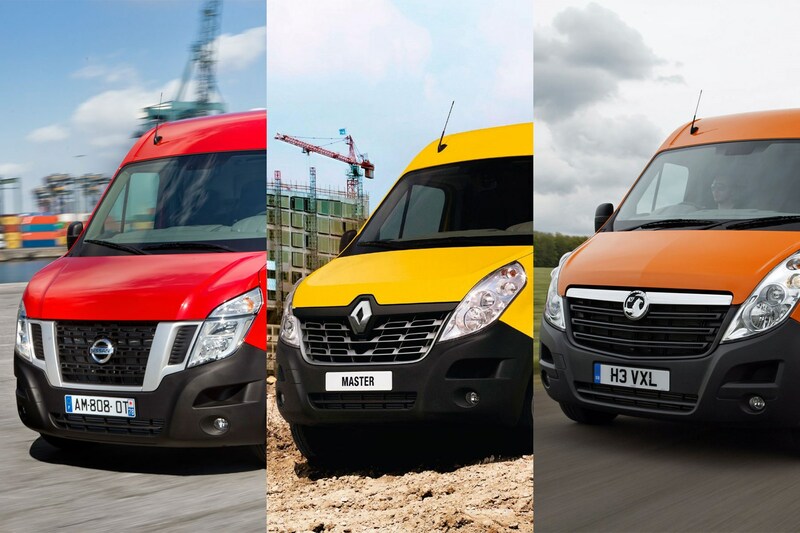 Another set of closely-related vans, all featuring the same fundamental design and a shared engine line-up. The Nissan has the most limited range and dealer network but compensates with a five-year warranty whereas the Vauxhall Movano is only covered for three. Renault splits the difference with four years of cover – and offers the benefit of a Pro+ dealer network dedicated to light commercial vehicles. Regardless of brand, however, each of these vans comes with lots of kit, lots of payload capacity and acceptable fuel economy. We like the 2.3-litre engines, too – whatever anyone says, there is still no substitute for size when it comes to torquey performance – and they’re good to drive, with attractive, highly function cabs and good road manners. The Iveco Daily’s strength doesn’t really lie in the 3.5t class; its truck-style separate chassis is so strong that gross vehicle weights – or GVW, the total combined allowed weight of vehicle and payload – of up to 7.2 tonnes are available, enabling it to carry more than any rival in the large van class. You can’t drive these versions on a regular car licence, remember. But the Daily also comes in a vast range of body sizes that do meet that 3.5-tonne limit, so if you’re looking for sheer space this could be the one. Powerful 2.3-litre and 3.0-litre engines are available, alongside an impressive eight-speed automatic gearbox. The cab's a bit drab, but these are nice vans to drive once you've got a load on board. The Ford Transit is the best-selling large van in the UK – typically just ahead of the Mercedes Sprinter. 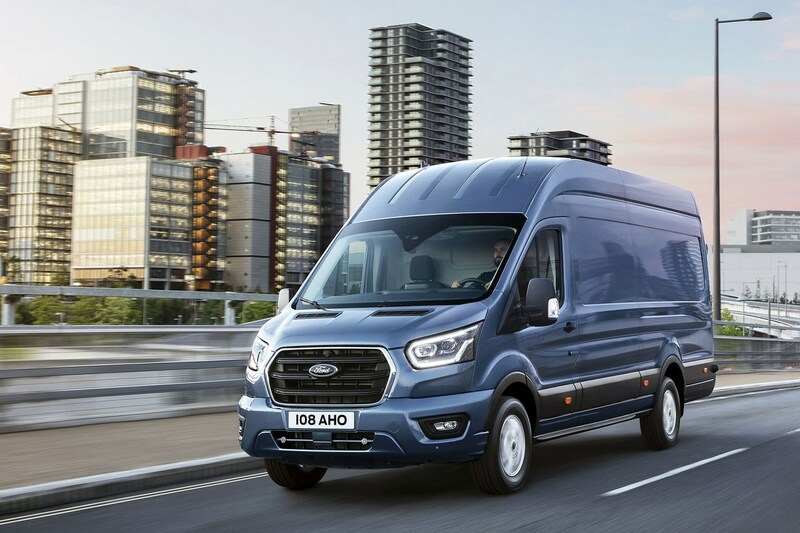 In majors on excellent value, thanks in part to the broad reach of Ford’s specialist van dealer network, and comes in a variety of trim levels and body sizes, to suit most users. 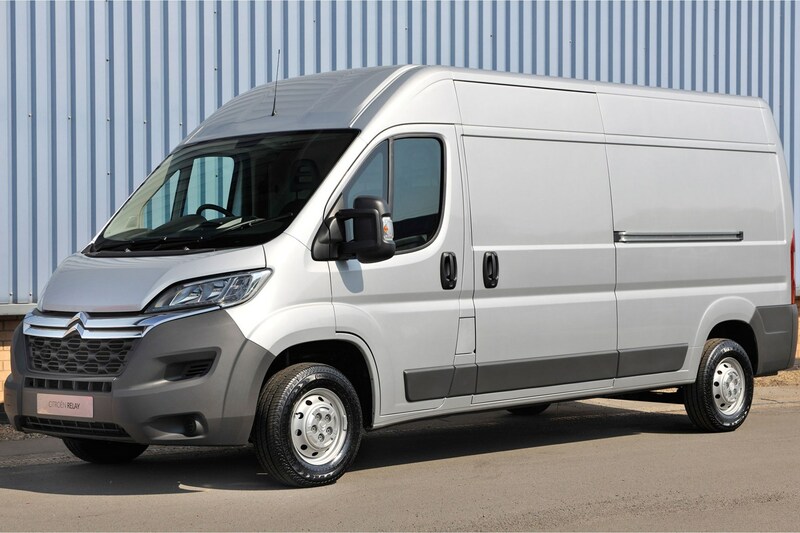 The Transit struggles for payload capacity compared with some older rivals in its current guise, but is having a major mid-life upgrade in 2019 (pictured) that's set to improve on this and other elements of this big van's design. Don't fret if you can't wait though. It already offers a refined, car-like driving experience and has an impressive roster of safety technology, making it a good choice for long-distance drivers. This all-new version of the Mercedes Sprinter launched in 2018 to much - and well-deserved - fanfare. Available to order in a staggeringly huge number of variants direct from the factory, it builds upon everything that made the previous version great and turns it into something even more impressive. Easy to drive and very comfortable, it should make light work of any distance, while a huge array of on-board technology - including built-in mobile internet connectivity as standard - should keep your business on track and your drivers safe in the process. The three-year unlimited mileage warranty and 30-year roadsiide assistance package should keep your business moving should the worst happen, too. The VW Crafter is the reigning Parkers Van of the Year - and has been for the last two years running. The MAN TGE is its near identical twin, differing only in terms of standard equipment and branding. Both are built in the same factory. Both are truly excellent large vans. Payload and fuel economy isn’t the most impressive, so if either of those are most crucial to you it may be better off looking elsewhere. But the 2.0-litre engines perform well in the real world and are very clean in terms of harmful emissions. What's most crucial for us, however, is just how user-friendly and well thought-out these vans are. From their superbly practical cabins to their impeccable road manners, they are simply brilliant from an everyday operating perspective. We rate them very highly. 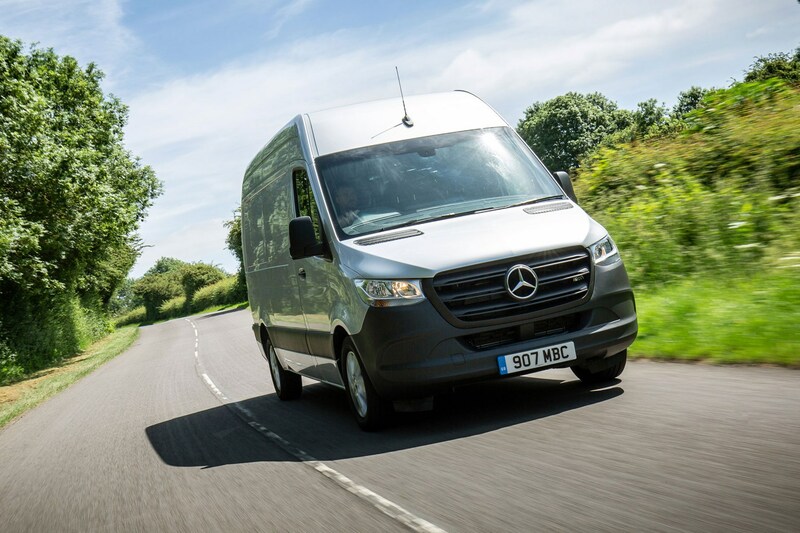 To see why we think the VW Crafter bests the latest Mercedes Sprinter click here to read our twin test. 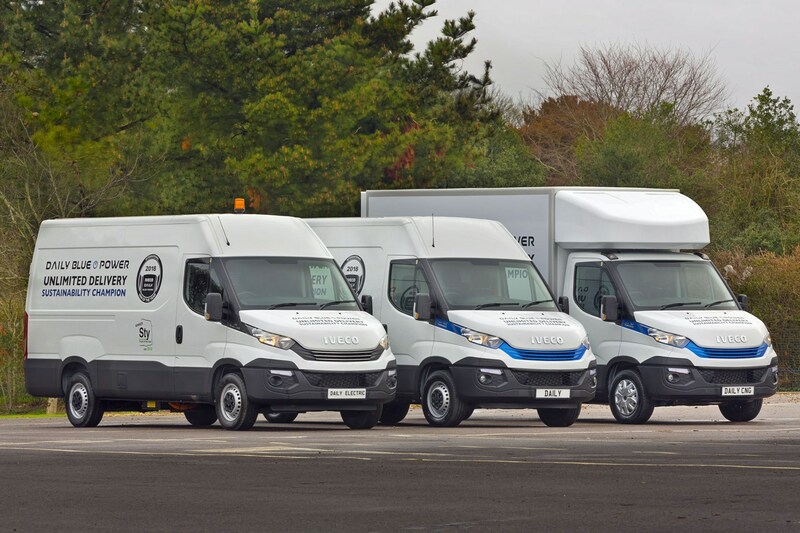 Best large vans 2019 Citroen Relay (left), Peugeot Boxer (right) - where do they rank among the best large vans? Citroen Relay - where does it rank among the best large vans? 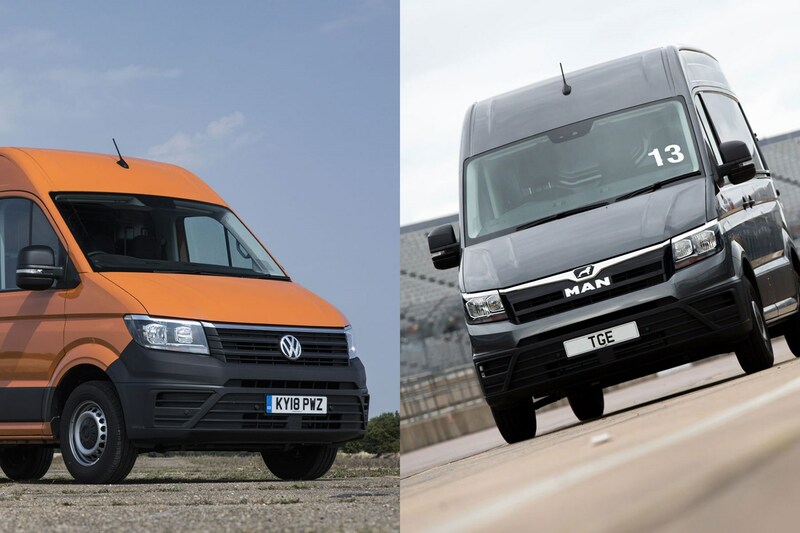 VW Crafter (left) and MAN TGE (right) - where do they rank among the best large vans? Fiat Ducato - where does it rank among the best large vans? Ford Transit - where does it rank among the best large vans? Iveco Daily - where does it rank among the best large vans? 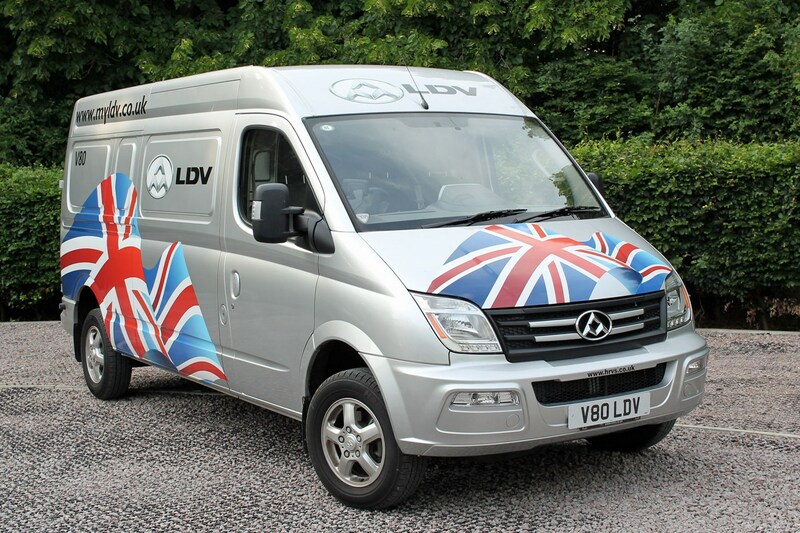 LDV V80 - where does it rank among the best large vans? 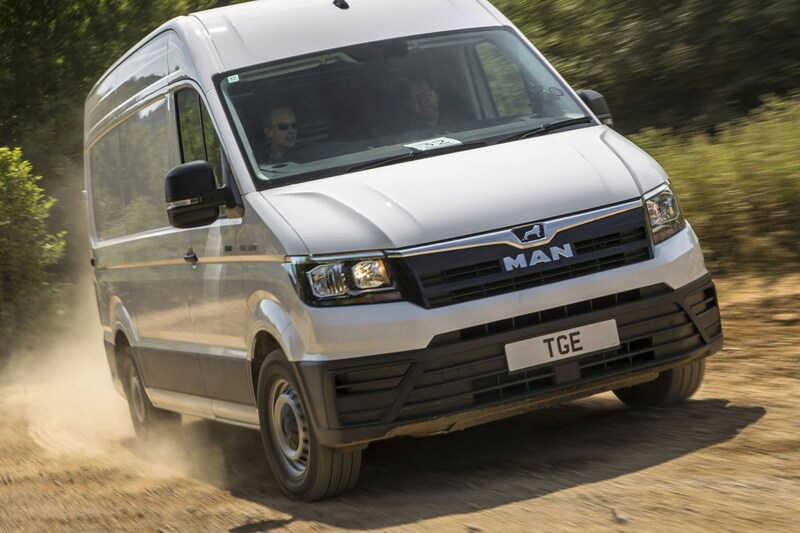 MAN TGE - where does it rank among the best large vans? Mercedes Sprinter - where does it rank among the best large vans? Nissan NV400 - where does it rank among the best large vans Nissan NV400 (left), Renault Master (middle) and Vauxhall Movano (right) - how do they rank among large vans? 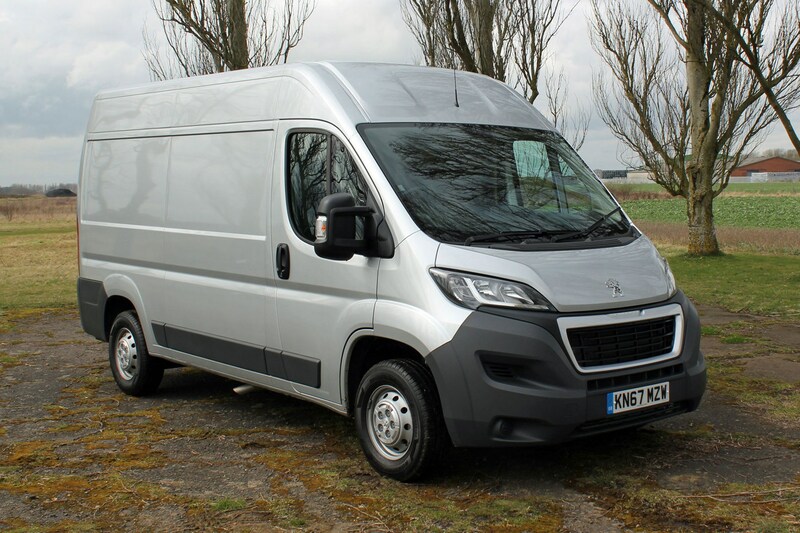 Peugeot Boxer - where does it rank among the best large vans? 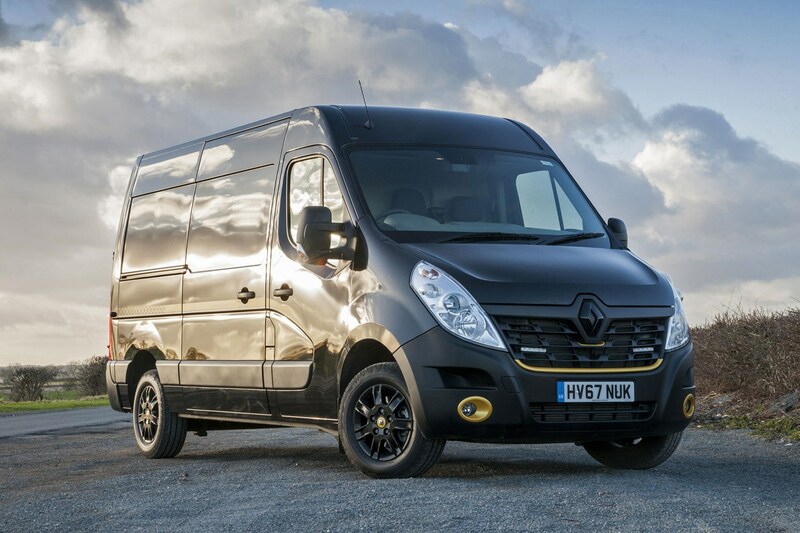 Renault Master - where does it rank among the best large vans? 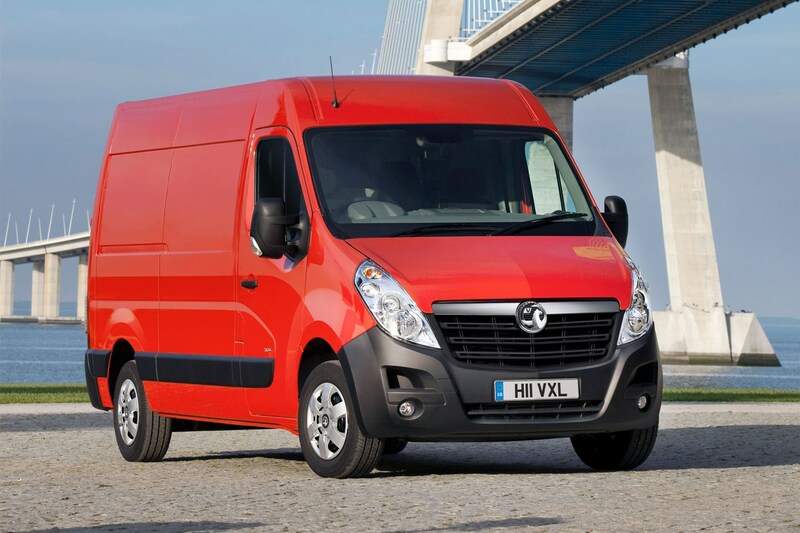 Vauxhall Movano - where does it rank among the best large vans? 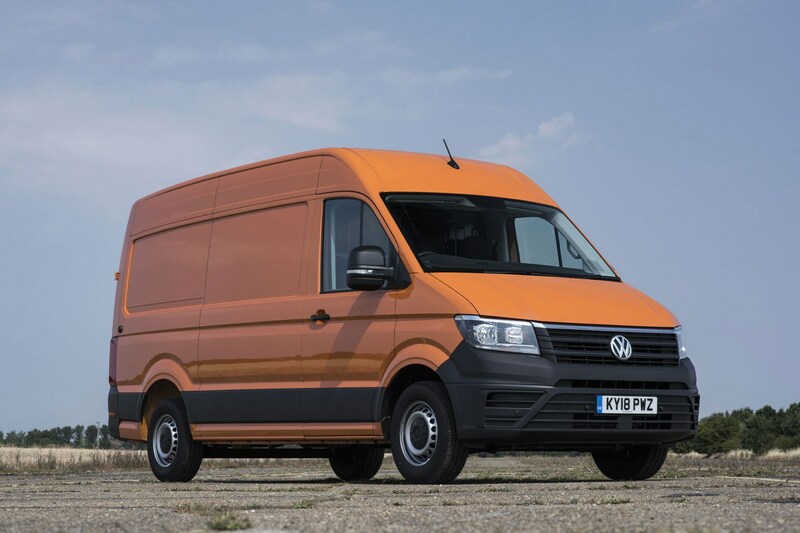 VW Crafter - where does it rank among the best large vans?